Rewelacja. Solidny zastrzyk energii i pobudzenie utrzymujące się jeszcze długo po treningu. Godne polecenia dla osób które już się trochę uodporniły na przedtreningowki. Stosowalem duzo przedtreningowek glownie opartych na kofeinie. (War Mashine itp.) wkoncu sie pokusilem na cos drozszego i nie zaluje. Pobudzenie 11/10, pompa 10/10, potliwosc 11/10. Chyba najmocniejsza przedtreningówka z jaką miałem do czynienia .. O ile jakiejś mega pompy nie ma o tyle pobudzenie i tryb ' nieśmiertelny ' załącza się na długi czas. Rzuca po scianach, mocne pier...niecie gwarantowane, tylko dla twardzieli!! Take 1-2 portions (1 portion = one scoop) per day. 1 scoop of powder mix with approx. 250-450ml of water and consume 30 minutes before a workout. Do not exceed 2 scoops a day. The product for particular nutritional uses for people active physically. The use should be limited to a workout days. Pre-workout and burner in one. The real revolution in the market supplementation. The product is highly concentrated, which is why we recommend to limit the use of up to 1 drink per day. Just mix 1 scoop of powder with approximately 250-450ml of water and drink half an hour before the scheduled physical activity. The effects will be seen at the first a workout - better endurance, concentration and agitation, which will allow to perform harder and longer a workout. An added bonus with the use of the product is to speed up metabolism and aggravation processes of fat burning. I know from experience that people really hard a workout, performing, e.g.. Two a workout sessions a day, after a brief adaptation of the body can increase the recommended dose to 2 portions per day, but this is the maximum allowable amount, which should not be exceeded. The product should be taken only on a workout days. 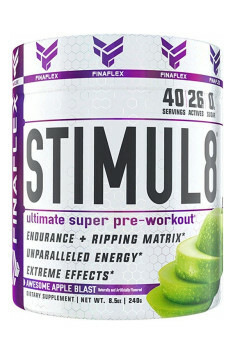 Because of its stimulating effect should not be combined with other stimulants that contain caffeine. I do not recommend use in the late evening, as it can cause problems with sleep. A patented mix of 8 essential amino acids. Very good absorption and assimilation. Chinese tea is made from the plant Camellia sinensis, in the form of teas: white (white tea), black (black tea) and green (green tea), depending on the technology in which it is prepared. It is a source of polyphenols, including catechins (including EGCG - epigallocatechin gallate), showing strong antioxidant potential (which protects against oxidative stress), slightly lower thermogenic (supporting the process of weight loss) and affects the activity of a testosterone metabolite (DTH) causes male baldness and problems associated with prostatic hypertrophy. Chinese tea is available in the form of mono-preparation supplements or extracts enhancing slimming and diet supplements of antioxidant potential, from vitamins and vitamin-mineral, the fat burners, creatine stacks to the various supplements that regulate hormone levels. Dosage: From a few dozen to several hundred mg per day depending on the type and standardization. Cocoa seeds come from the cocoa fruit (Theobroma cacao). It is widely used in the food industry – primarily for the production of cocoa powder and cocoa butter, which is used to produce e.g., chocolate. Raw, untreated, cocoa beans are a treasury of valuable nutrients, which is why they were included in the group of the so-called superfoods. About 50% of the dry mass of cocoa seeds are fats – mainly saturated fatty acids (stearic and palmitic) as well as oleic acid and other acids from the EUFAs. 31% is carbohydrates, with up to 15% being non-digestible fiber. Cocoa seeds also contain minerals (magnesium, iron, phosphorus, potassium, copper), amino acids (arginine, glutamine, leucine) and two alkaloids (theobromine, caffeine), showing a stimulating effect. In addition, they are extremely rich in polyphenols (catechins, anthocyanins, procyanidins) that have a beneficial effect on the human body. They are credited for the ability to regulate blood pressure, lower cholesterol and stabilize blood sugar. Cocoa seed extracts are a popular ingredient in health-promoting preparations. They are also commonly used in slimming supplements, sometimes they are also added to pre-workout formulas and mild stimulants. Theobromine (3,7-Dimethylxanthine) is a purine alkaloid, poorly soluble in water, present in cocoa beans, as well as the leaves of yerba mate, tea, coffee, cola and peanuts. It is a diuretic, lowers blood pressure and improves brain function (dilates the blood vessels of the brain). Also expands the blood vessels throughout the circulatory system, preventing atherosclerotic changes. Sometimes it is used in slimming diet. Combined with caffeine and polyphenols becomes thermogenic. In the sports supplementation formulations containing theobromine are used diuretics and fat burners. It is a component of thermogenics, pre-workout creatine stacks, as well as nitrogen boosters. Guayusa (Ilex guayusa) - an evergreen dioecious tree, which is related to yerba mate not only with its name but also close morphological similarity. The application of both these plants is also similar, although on this field Ilex guaysua wins when it comes to intensity of activity. It is probably a plant containing the highest amounts caffeine among its all natural sources. Thanks to its strong stimulating properties, Guayusa is an ideal way to increase energy level in crisis moments. Some sources also say that it may reduce appetite. Therefore, Guayusa extracts are a perfect additive to fat burners - they are able both to increase the level of deficient energy and facilitate following a rigorous diet. Ilex guayusa also demonstrates pro-health properties, which makes it superior to other plants used for stimulation. It contains a considerable amount of antioxidants, winning in this respect even with green tea, known for its antioxidant properties.